Images are very important part of any blog, because they help you to express your point in a better way and they encourages visitors to read your content. WordPress image sharing widget that will increase the social share of your blog’s images by allowing your blog audiences to share images within your blog post easily. Here, in this post you can find best free WordPress widgets for image sharing that are useful for your WordPress blogs. If you enjoyed the following article we humbly ask you to help us spread the word by sharing this article with your peers! If you like this effort then don’t forget to take a look on other articles: Existing Free Secure WordPress Plugins, Best Free Blackletter Fonts, Stylish Free Custom Menu WordPress Themes and Useful Free Sub Pages WordPress Widgets. Shareaholic is an all-in-one content amplification and monetization platform, that includes related content recommendations, promoted content, social sharing, following, site monetization apps such as affiliate linking, and social analytics. Share Counters for Twitter, Facebook, LinkedIn, Pinterest, Buffer, Google Plus, etc. Official support for Google’s URL shortener (goo.gl) and Google Analytics. This tool can get your customers a new way to share link about your blog. Because this tools aumaticaly triggered social buttons to all photo on the page. When customers on hover on the any image they will see floating social button, which can share exact image. This tools work even in mobile devices, you can click on the any photo and social button would be opened. Social sidebar, follow us button, mailchimp & aweber subscribe bar, exit popup, image sharer by Profitquery there are more than words. There are most popular tools which can make your blog more popular, make you content virals, turn casual visitors into loyal customers. AIO Widgets collect most popular tools for growth your email subscribers, social subscribers, for get feedback from customers, for make your content virals. Free and easy way to double your email subscribers. And Sharing tools to double your traffic from Facebook, Twitter, Pinterest & more. Simple email integration with MailChimp, Aweber, Constant Contact, and Campaign Monitor. 100% mobile optimized. A lot of your traffic is mobile, make sure your tools are too. Easily add Facebook, Twitter, and Pinterest sharing to your images. Images have higher engagement on social networks. Include your Twitter username in tweeted images. Share count shows how often people share your images. Complexity is one thing we all hate. 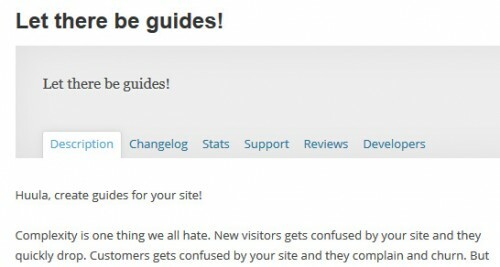 New visitors gets confused by your site and they quickly drop. Customers gets confused by your site and they complain and churn. But we all understand that some complexities are inevitable. Sometimes it’s because of your business model and sometimes it’s because of the complexity of the problem you are trying to solve!